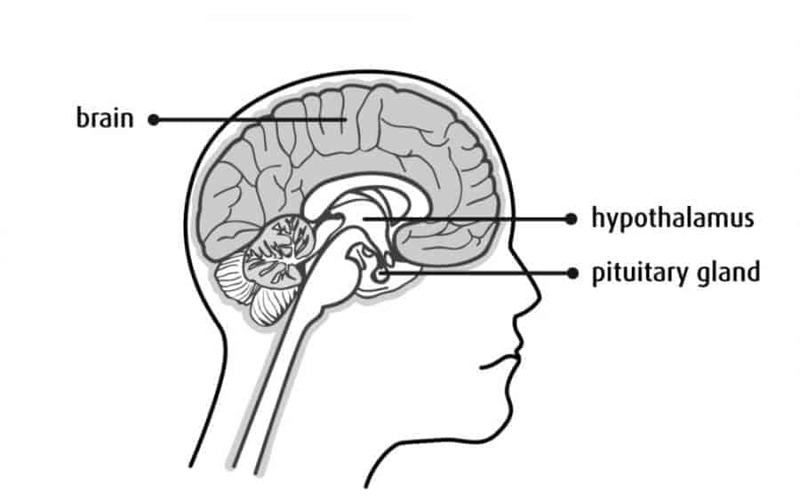 As I was looking at the location of the hypothalamus and pituitary glands, located in the middle of the brain behind the eyes shown in the diagram below, I noticed this is right behind the main area negative entities cause problems. 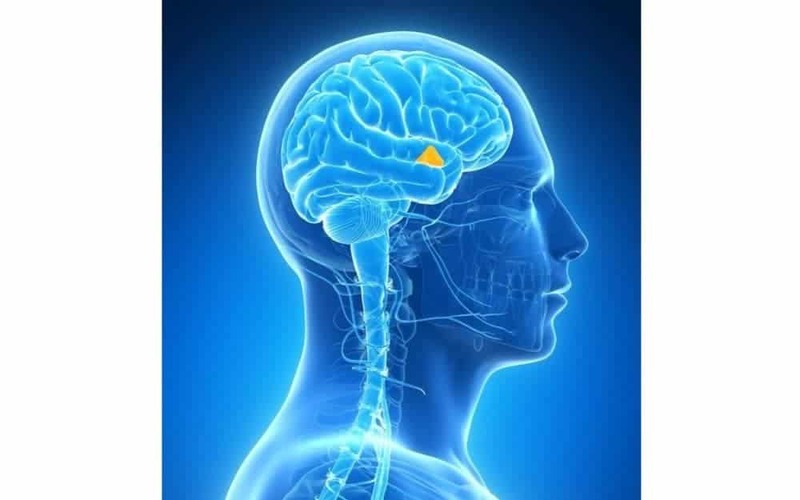 FYI, The hypothalamus is also depicted in the top featured image as a small yellow triangular shape. As I pondered about this area of the brain, I wondered why negative beings choose to cause problems in this area. I have looked at many negative beings through the dilated, swollen eyes of my son so I really wanted to understand why they choose this area to cause problems. A man is saved no faster than he gets knowledge, for if he does not get knowledge, he will be brought into captivity by some evil power in the other word, as evil spirits will have more knowledge, and consequently more power. I followed my desire to understand the mindset of dark beings by doing some research about the pituitary and hypothalamus glands. I am including a brief overview. The pituitary gland is often dubbed the “master gland” because its hormones control other parts of the endocrine system, namely the thyroid gland, adrenal glands, ovaries, and testes. However, the pituitary doesn’t entirely run the show. In some cases, the hypothalamus signals the pituitary gland to stimulate or inhibit hormone production. Essentially, the pituitary acts after the hypothalamus prompts it. The hypothalamus also has many important roles that greatly affect many bodily functions. The hypothalamus is the link between the endocrine and nervous systems (both systems work with all cells and organs of the body). 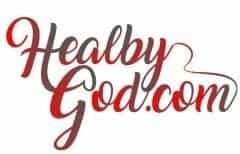 After learning about the pituitary and hypothalamus glands, I realized this small area of the brain is very important and is connected to every area of the body through the endocrine and nervous systems. If I were a negative entity with a goal to dominate people, and I understood I couldn’t gain power over those who are in a state of love, I would strategically choose to cause problems in this area of the brain because it affects all parts of the body supplying numerous options to dominate and to lay the groundwork for many illnesses to develop. There are too many various things that could be caused by negatively compromising this area of the brain to address all of the possibilities, however, I would like to address one big red flag that stands out to me. The hypothalamus is responsible for sending out emergency signals to turn on the fight-flight response. When receiving an emergency alert, the hypothalamus, in turn, alerts the body there is an emergency. The survival fight-flight response stays on until the body returns to a state of homeostasis (balanced sense of being) which is the needed foundational state to create, and for love and light to thrive. 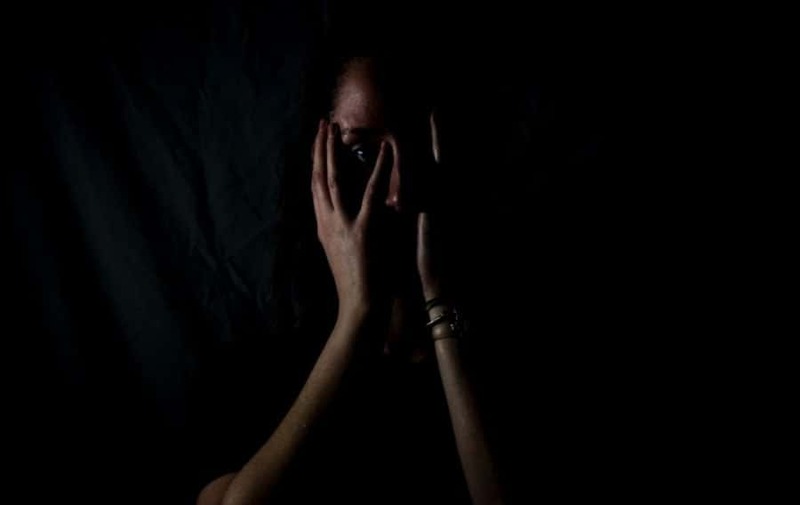 If a person stays in a stressful state of survival, the fight-flight response won’t turn off which keeps people in a long-term state of fear which is the perfect atmosphere negative entities need and desire to accomplish their work. This purpose, to keep people in a state of fear, without any other, could be the reason negative entities cause problems in the area of the hypothalamus. I wrote a full blog addressing why the fight-flight response is not turning off in a high percentage of the population if you would like to know more, click on the provided link. 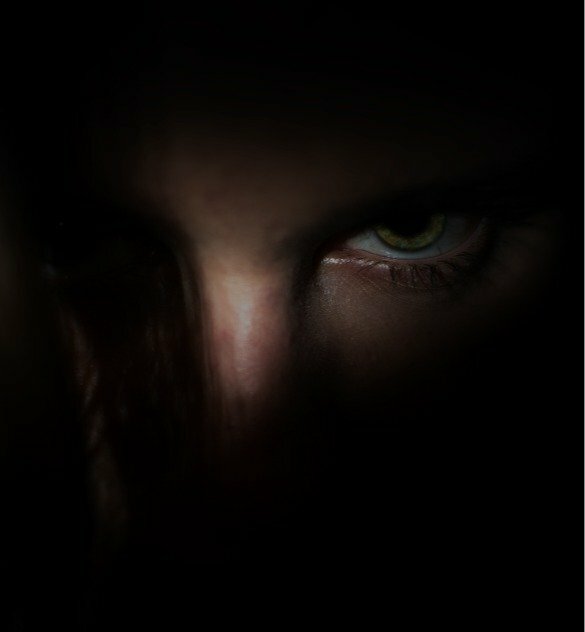 Negative entities have been doing their dark work since the beginning of time so they have mastered the best ways to dominate people. However, we do have an advantage when using methods of light, dark beings despise light and love because they perish in the light; it is impossible for them to exist in light because light consumes darkness! The goals of negative beings are the complete opposite of the good we desire, therefore, dark entities must employ trickery, snares, and enticing lies to get us to believe their lies will lead to happiness and joy.